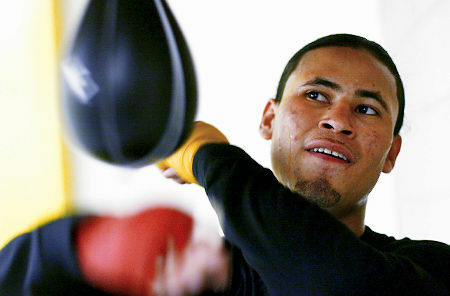 One of New York City’s most promising up and coming fighters was shot and killed early Saturday morning. Police say Ronney Vargas was shot following an argument outside of a Bronx deli at 3:30 a.m.
Vargas, 20, had an 8-0 record as a professional with 6 knockouts. He was a three-time Golden Gloves champion. The proposed December megafight between Oscar De La Hoya and Manny Pacquiao may not happen after all. According to ESPN boxing writer Dan Rafael, talks have apparently broken off between the two parties following an entire week of negotiations. The hangup, naturally, is money. De La Hoya wants a 70/30 split in his favor. Pacquiao and his promoter Bob Arum have agreed to let De La Hoya (the all-time pay-per-view champ in boxing history who also serves as his own promoter) make more money. However, the Pacquiao camp wants a 60/40 split feeling their boxer is the better fighter. Even at only 30 %, Pacquiao would stand to make some $30 million for a fight with De la Hoya. 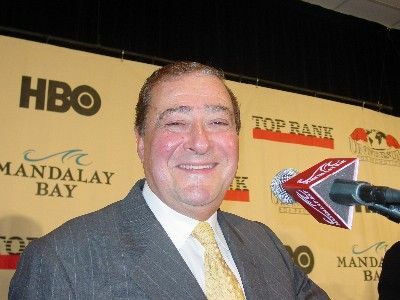 Richard Schaefer, the CEO of Golden Boy Promotions, points out that despite five titles Pacquiao has never made more than $5 million for a fight in his life. Dan Rafael is reporting that the De la Hoya camp is now focusing on former Contender winner Sergio Mora as Oscar’s next opponent. Negotiations continue to inch forward for a proposed superfight between Oscar De La Hoya and Manny Pacquiao. That fight would take place December 6th and be held at the MGM Grande in Las Vegas. 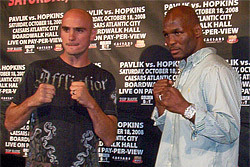 Top Rank and Golden Boy are already working together on the upcoming Kelly Pavlik/Bernard Hopkins fight. That bout takes place October 18th. Meanwhile the date for the Joe Calzaghe/Roy Jones Jr. fight has officially been changed. The two will now fight November 8th at Madison Square Garden in New York. Calzaghe continues to maintain that will be the final fight of his undefeated career. 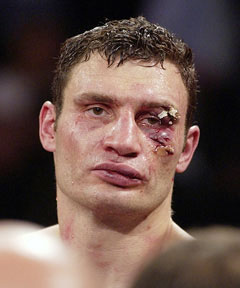 Finally, Vitali Klitschko returns to the ring after a four-year abscence. The older Klitschko brother takes on Samuel Peter for the WBC heavyweight championship October 11th. The fight will be broadcast on Showtime and is not pay-per-view. Ricky Hatton’s girlfriend reportedly threatened to leave him after pictures surfaced last weekend of the boxer dancing with an unknown blonde woman. The Sunday Mirror says Hatton’s babymama, Jennifer Dooley, was furious and embarrassed about the pictures coming out. Dooley had let Hatton and his friends go on a “boys only” vacation to Spain. Antonio Margarito delivered the win of his career Saturday night with a stunning 11th round knockout of fellow welterweight Miguel Cotto in Las Vegas. Cotto, the favorite going into the fight, was 32-0 before the loss. Margarito won a brilliant fight as a -230 underdog. Boxer Edgar Santana has been dropped from his fight on ESPN2 next month following his New York arrest in a “major” cocaine bust. 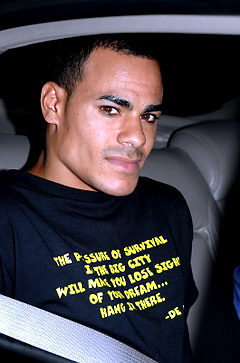 A win in that August 6th fight would have put Santana in line for a shot at the junior welterweight championship. Instead, Santana faces possible jail time for his role in the alleged sale of one kilo of cocaine. DID FLOYD MAYWEATHER PULL A CADE MCNOWN? 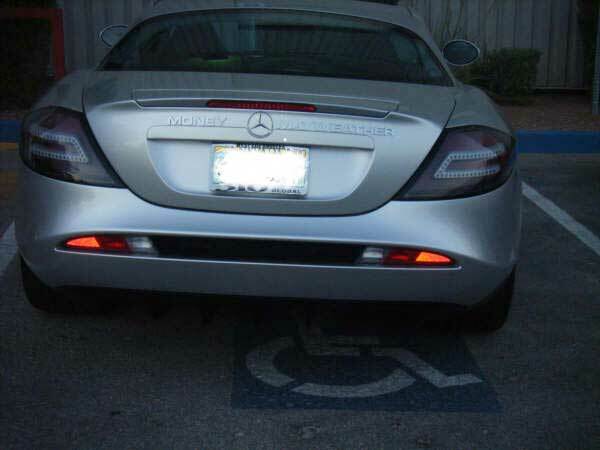 Retired boxer Floyd Mayweather’s Mercedes was reportedly spotted at the Las Vegas Summer Basketball League parked in a handicapped parking space. 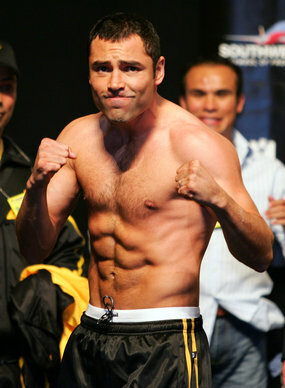 Oscar De La Hoya is the biggest pay-per-view draw in boxing history. Manny Pacquiao is most definitely serious. 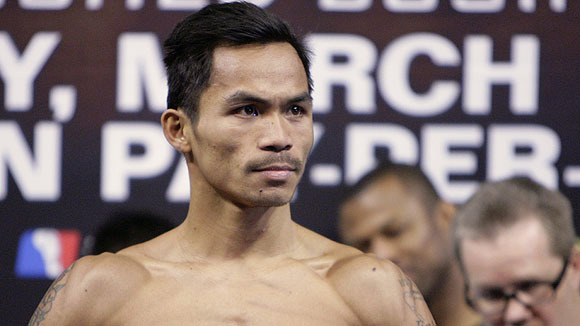 According to ESPN boxing guru Dan Rafael, Pacquiao is “hungry” for a fight against De La Hoya. The fight could bring Pacquiao a career payday-at least $20 million. 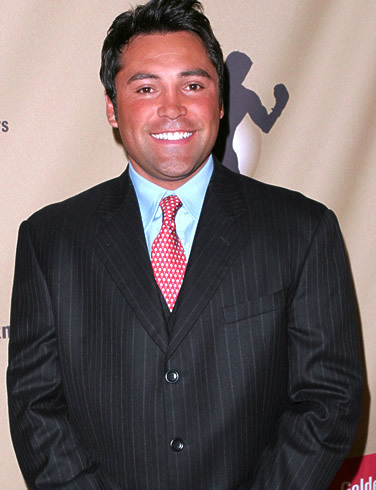 De La Hoya was supposed to conclude his legendary career against Floyd Mayweather with another big paycheck. Those plans were thwarted by Mayweather’s sudden retirement. A battle against Pacquiao may actually be more appealing and do bigger numbers than another Mayweather matchup. Although De La Hoya fought better than some expected, the first Mayweather/De La Hoya bout wasn’t exactly compelling television. The proposed De La Hoya/Pacquiao fight would take place December 6th at the MGM Grand in Las Vegas. It would mark De La Hoya’s final fight. According to Rafael, Pacquiao was looking for a quick payday versus Ricky Hatton, but he’s already scheduled to fight in November.